After the adventures of the Alaska State Fair, our intrepid voyagers decided to check out an out-of-the-way pass called Hatchers Pass. 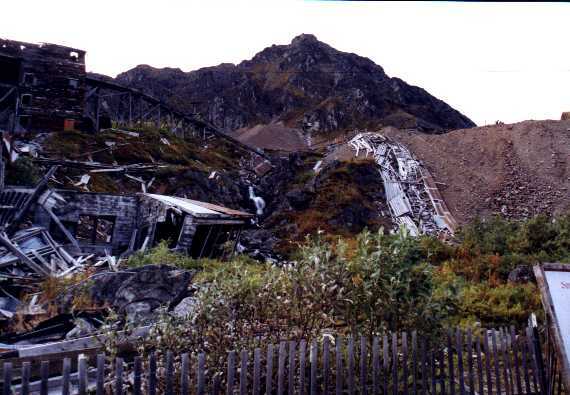 Aside from scenic vistas, the Native Guides also recommended a visit to the Independence Mine, an abandoned gold mine located in Hatchers Pass. 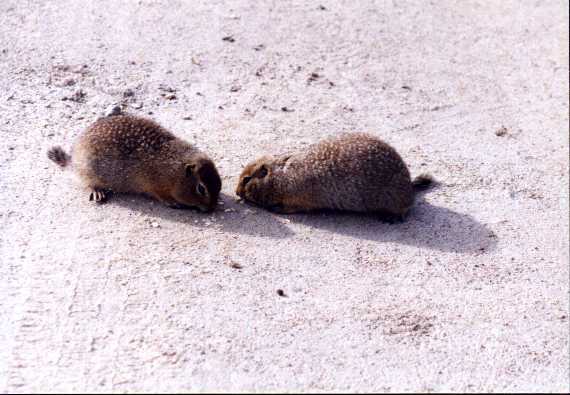 A greeting committee was formed in the Independence Mine visitor's center parking lot by some of the local citizens. 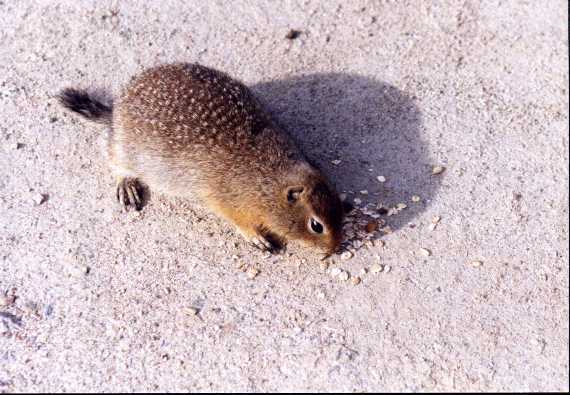 They were very friendly, and came up to greet us as soon as someone dropped some trail mix. 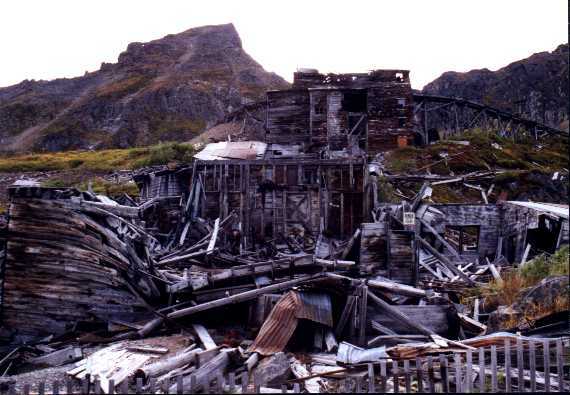 The Independence Mine is a really neat place. 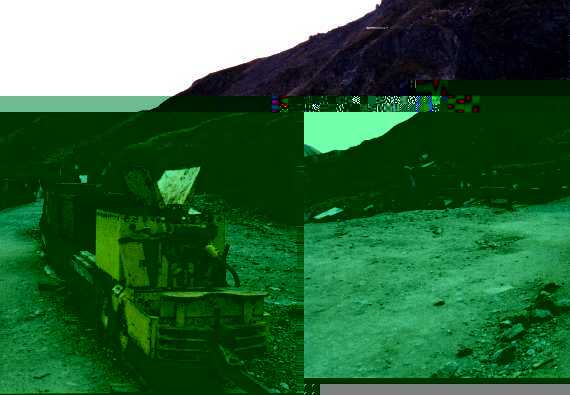 It is an old, broken-down mine (with most of the old equipment still in place, if a little the worse for wear). Some of the buildings were still partly intact, but most of the place was pretty much in ruins. 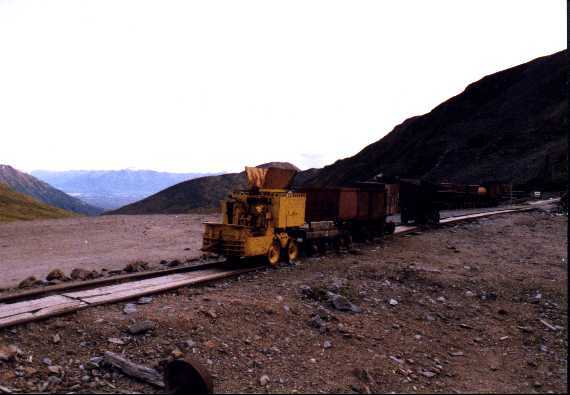 There was an ore cart in fairly good shape coming out of the mine shaft. 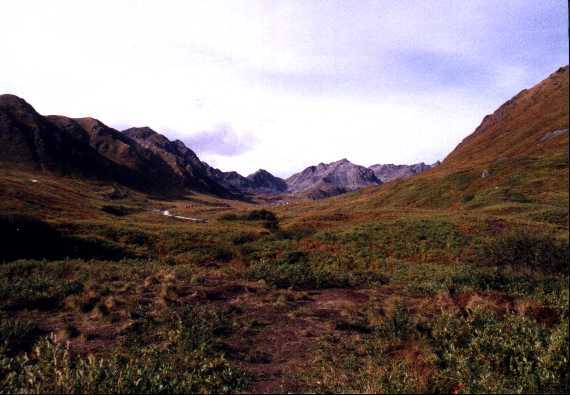 At the far end of the cart, there is a mine shaft that continues about 30 feet into the side of the mountain. At the end of that mine shaft, there is a solid block of ice year round. 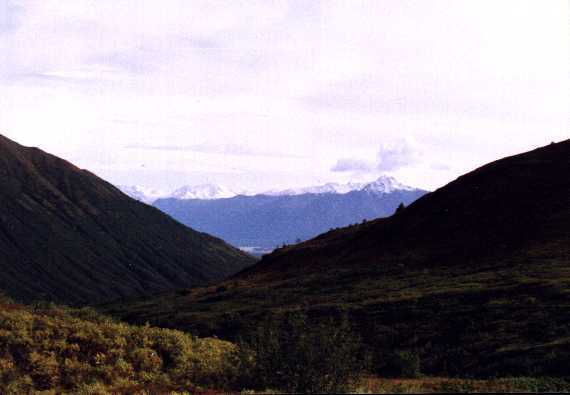 After leaving the mine, our brave voyagers set out to conquer the rest of Hatchers Pass. 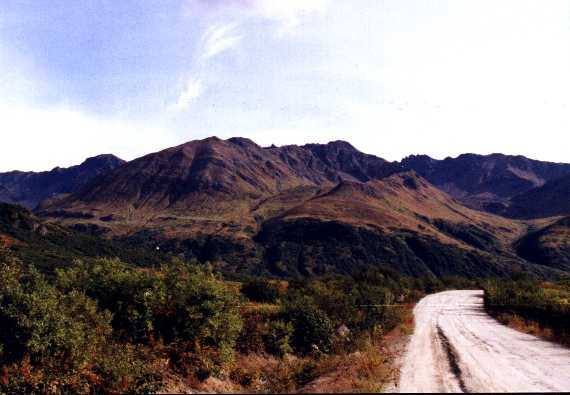 The pass is extremely long and winding, and the road is not in the greatest of shape (actually, the road is in pretty bad shape). There were some vantastic views from the Pass, and a few photos were taken. Unfortunately, Donovan was not very happy during the drive (probably all of the bouncing around), so the major focus was getting back to paved road. One benefit to the poor roads: Donovan discovered a use for his tooth. He was kind of playing at eating an apple, and we hit a bump, and his tooth broke right through the skin of the apple! He spent a few minutes scraping at the apple with his tooth and sucking at the resulting apple juice. This was an effective distraction for a while, but the bumpy road got to him again soon.